Sorry mate, I may be wrong, but from L-R, the number two medal looks like an Imperial type. If so, I think it should be in front of the KVK, as should the Ehrenkruez für Frontkämpfer. I think the KVK and the Deutsches Schutzwall-Ehrenzeichen should be last, at number 3 and 4. I'm sure an Ordensspange collector here could give better advice, but it's a nice bar! 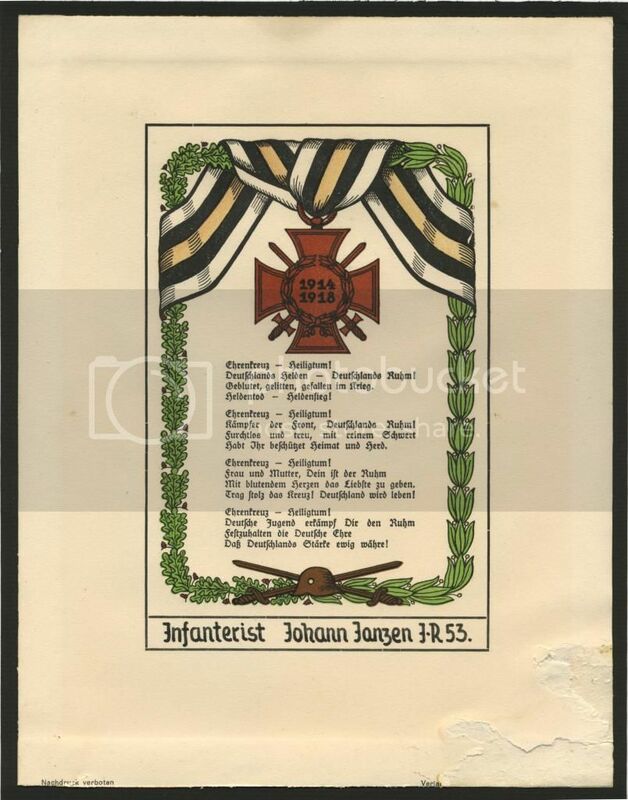 Is there any English text articles regarding the correct rulings for German medal bars that you know of? Thanks Matt, I just noticed your signature, do you have one of these? This site is very enlightening.! very good. You are all very welcome. 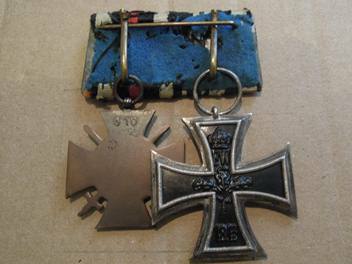 Some great medal bars to brave men posted above. What is the first ribbon? Is it black/blue? What does the back look like? It looks black and white underneath, that's why I thought it was an EK2 ribbon, what do you think? Does the blue backing signify anything? I cropped and highlighted your picture to see if it will give any more clues. How did you do that mate? Yes it does look like the EK2 ribbon underneath. 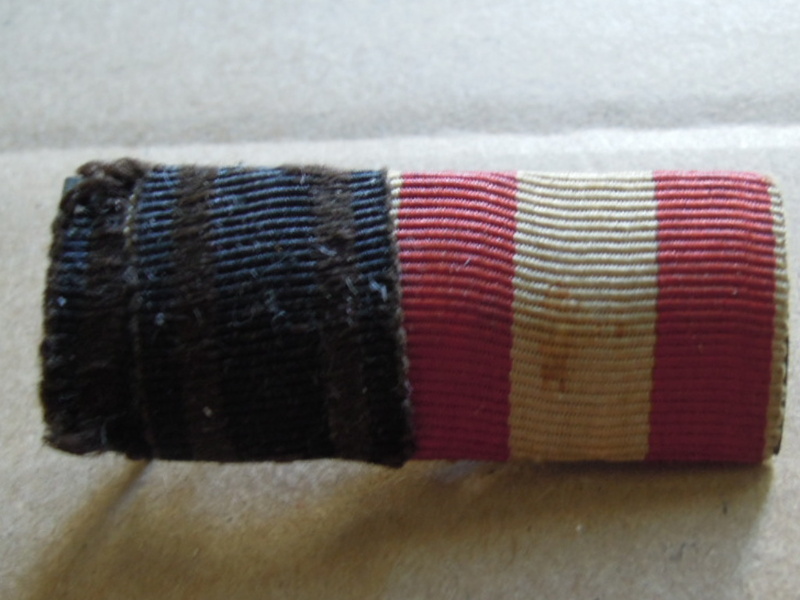 I have never seen two separate style of mounting on the same ribbon bar but it does look original. An interesting piece. I saw this group, but found it strange the way it was mounted. 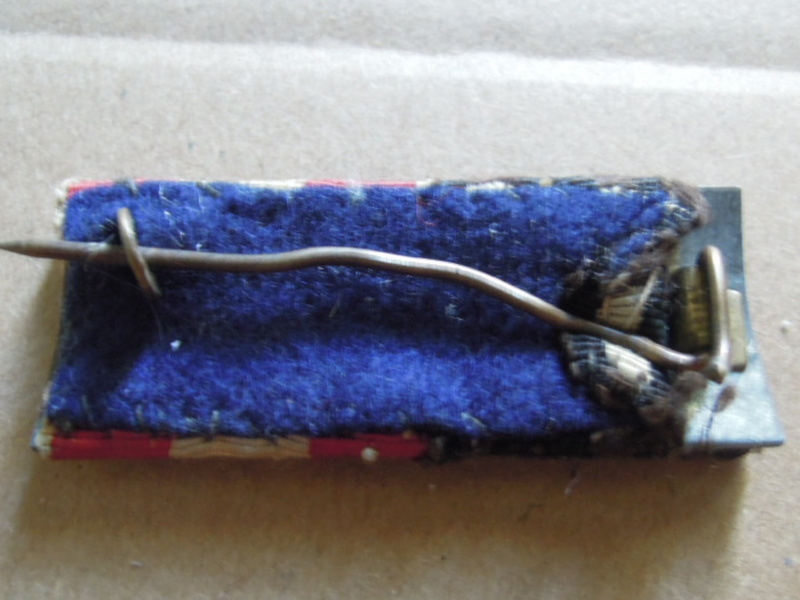 Furthermore this EK 2. does not seem right, I think the date 1914 very thin so I do not know? What about it? I'm no expert on German imperial medals. so I ask the help of the Gents. Hello! 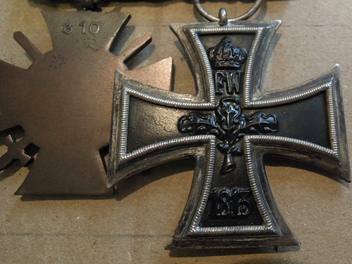 I also have some Hindenburg Crosses which I regard as awesome. I have a question or questions. Did Hindenburg Crosses come with ribbons at that time? I've seen this Cross with cases but no ribbons. I also heard? 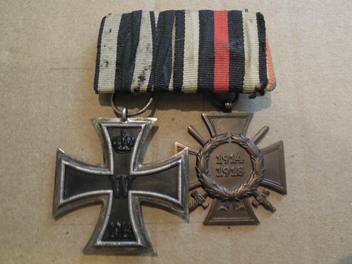 seen Crosses with triangular ribbons from or like Austria. 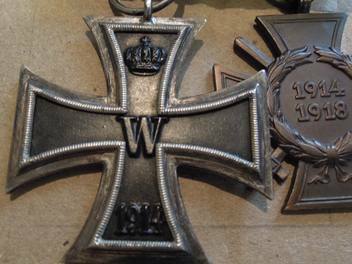 Did all makers of this cross supply this Austrian type of ribbons? 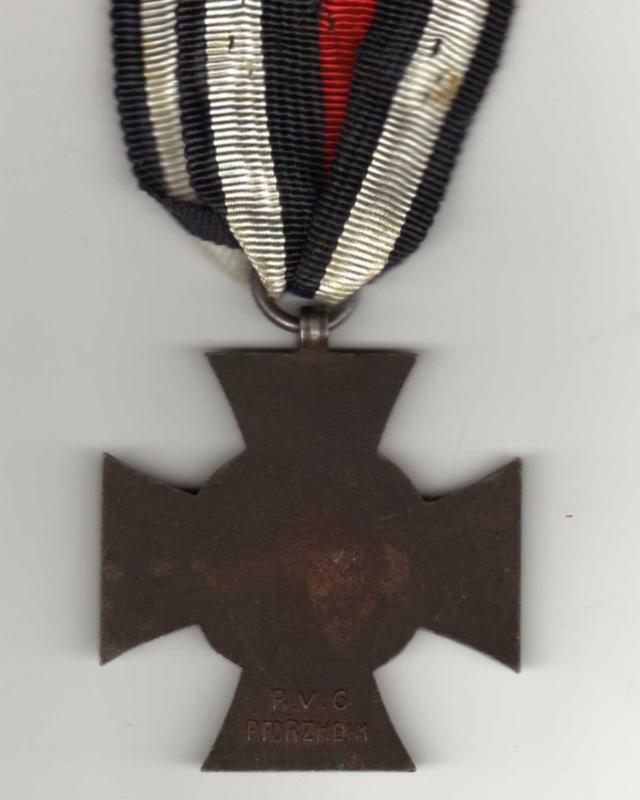 Also I came across this matter that this Hindenburg Cross was awarded by application? People applied for this medal? Hallo Hzenba and welcome to this forum. 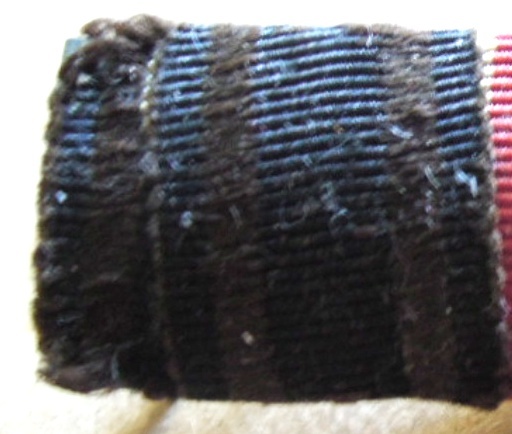 The cases was privately bought but contained no ribbons , the cross was just delivered in a paper with a piece of ribon. And if you were from Austria you could have a triangular ribbon made for you in your own country style. Just thought I would post an image of my early Christmas gift obtained at a military show here in Toronto recently. I was very excited to obtain it and believe this CANADIAN issued Frontkämpfer Urkunde is rare! DER DEUTSCHE GENERALKONSUL FUER KANADA UND NEUFUNDLAND. I would be very interested in hearing if anyone else has such a certificate issued in another country other than Germany. Johann ILLIG probably came to Canad between 1923 and 1930 and lived in Toronto with his wife, Anna. She was Canadian born (in Neustadt, Ontario), but of German descent. Johann was born in 1895; Anna was born in 1897. I don't have death dates for them as yet. The Certificate is signed by Dr. Ludwig KEMPFF (1872-1937), German Consul in Montreal, Canada from 1921 to 1937. The office was located at 317 Keefer Building in Montreal. Ludwig Kempff was born in Altenessen in the Rheinland and was a career diplomat of the old school. He was the top ranking German diplomat in Canada from 1933 to 1937.
printed by — Jankord & Elchberg, Reckenfeld, North Rhine / Westphalia. It may have been slightly trimmed, but probably not too much. Thanks Christer, I appreciate your reply. 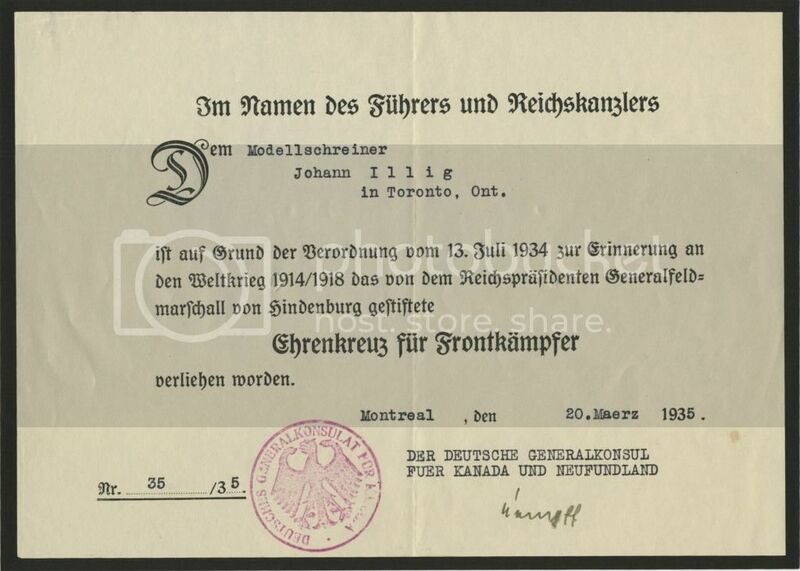 Did you also see my other Post (at the bottom of Page 11) showing my Canadian issued Frontkämpfer certificate? Will be interesting to see the earliest dated example - you've got me beat! I think I got you ... at least concerning the Frontkämpfer! 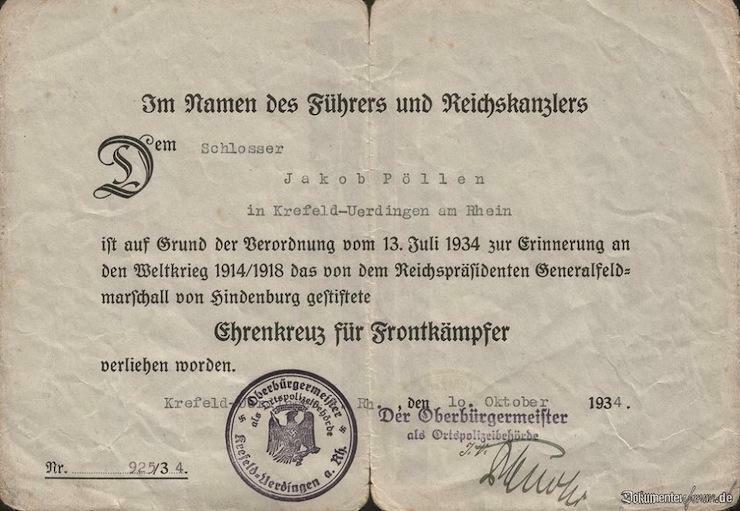 My earliest Ehrenkreuz für Frontkämpfer dates from 10.10.1934. 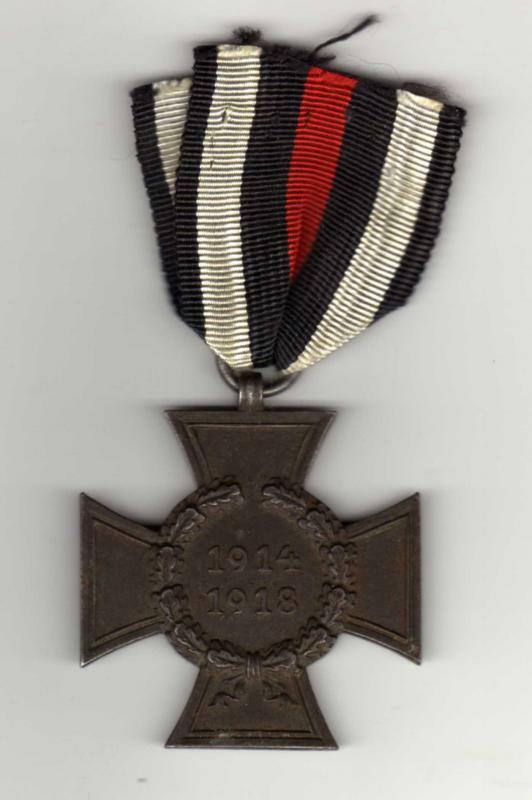 Awarded to fitter Jakob Pöllen in Krefeld.